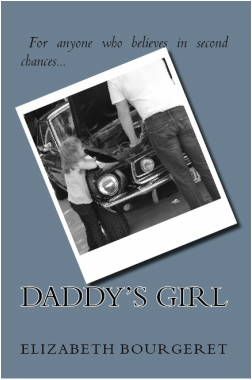 When tragedy strikes and his youngest daughter is killed in a car accident, James Carrigan, much sought after mechanic, buckles under the sadness and walks away from his life to deal with his demons, leaving eight year old Danni Carrigan behind. Ten years later, when James decides to step back into fatherhood, he finds that his little girl is no longer little... and no longer "his". Her heart had been broken and her trust had been shattered. And she doesn't need a Daddy... She put everything that reminded her of him out of her life. She had a new life now. There is no room for tools and grease in a buttons and bows kind of world. All of his years of experience putting engines back together and all the expensive tools that reshape metal forms has made him the most sought after classic car mechanic but it won't help him put Danni Carrigan's broken heart back together again. Can James Carrigan repair the damage he has caused or will his efforts fall short?